A search is underway for the man that deputies believe shot and killed Newman Police Corporal Ronil "Ron" Singh around 1 a.m. on Wednesday. 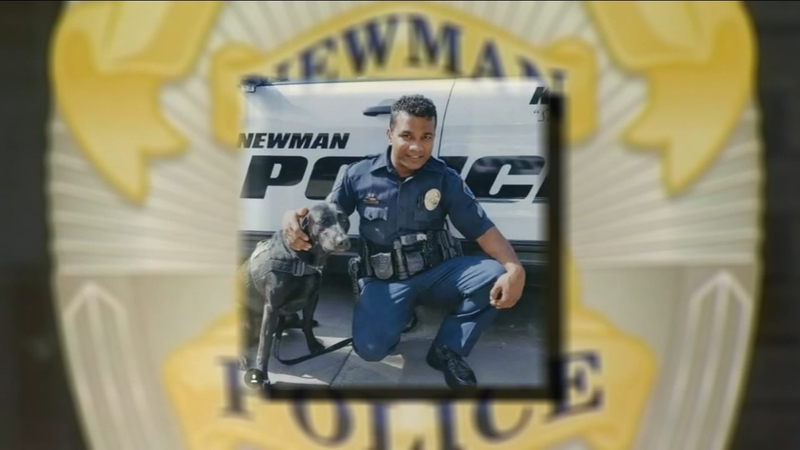 NEWMAN, Calif. -- The first of several services for fallen Newman Police Cpl. Ronil 'Ron' Singh took place Friday morning. Corporal Ronil Singh's body traveled from Modesto to Newman where crowds of people stood by to pay their respects. An Honor Guard Viewing was held at the West Side Theater between 9 a.m. and noon. During a press conference outside of the White House Friday, President Trump mentioned he called Cpl. Singh's widow and expressed his condolences. The suspect, Pablo Virgen Mendoza, who was previously identified by an alias, was charged with murder Wednesday. However, Mendoza's attorney is questioning his competency to stand trial and has asked for a mental evaluation. Four others are accused of aiding Virgen Mendoza while he was on the run will be back in court today. Their bail is set at $100,000 each.